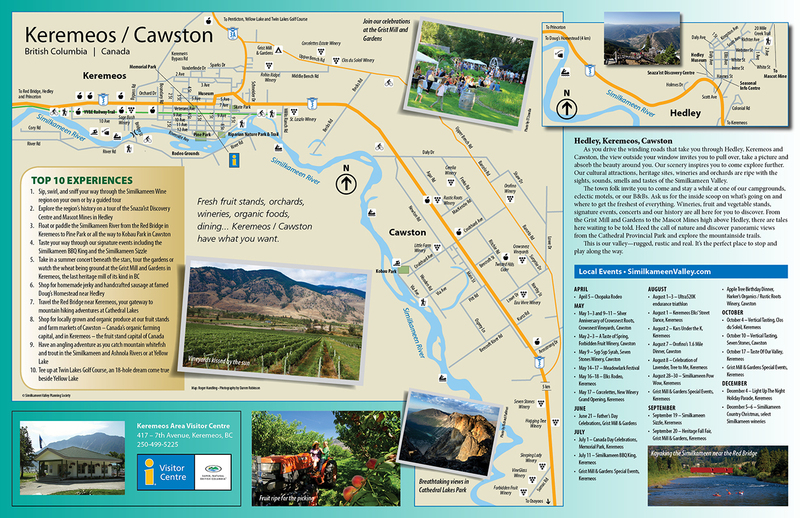 Printed maps are available through the visitor centres in Keremeos and Princeton. 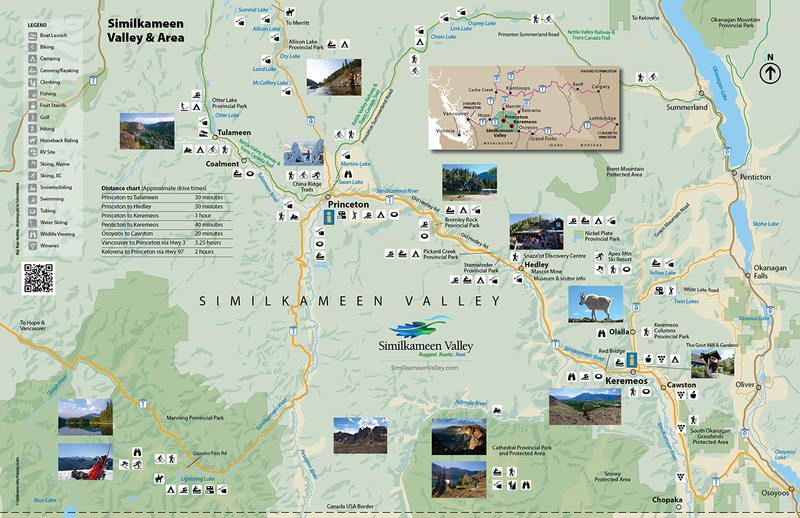 The maps feature the top experiences and key attractions throughout the Valley with a call-to-action for the official Similkameen Valley tourism website for more information. 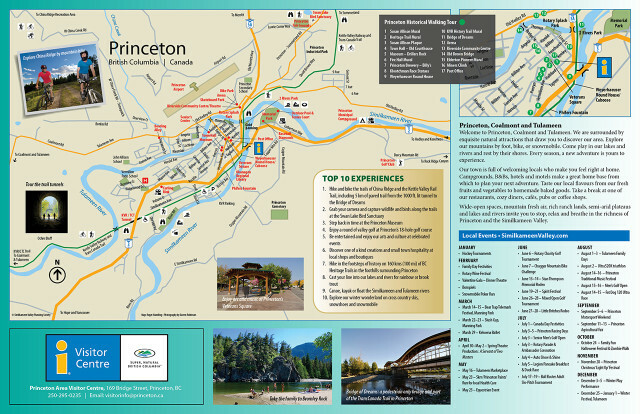 Online maps are also available, as well the centre spread of the Travel Experiences guide has a Valley wide map.